The 10 Best Road Races in California! California’s year-round good weather, cultural focus on fitness and stunning scenery from city streets to mountain roads and beautiful beaches make it a prime spot for a run. So prime, in fact, that the state hosts numerous marathons and road races each year. Here are just 10 of the best road races in California. Bay to Breakers dates to 1912 and is held each year in San Francisco. The race goes through the city, passing some of the most famous landmarks, before ending at the Pacific Ocean. In keeping with Disney’s family-friendly, all ages, inclusive philosophy, the Star Wars Half Marathon at the Disneyland Resort includes various running events for runners of all levels and ages. Enjoy the Star Wars theme, which includes entertainment and characters at the finish line. The Napa to Sonoma Wine Country Half Marathon gives runners a look at the wine country lifestyle, from elite accommodations to delicious food. The racecourse extends from the Cuvaison Carneros Winery to the historic Sonoma Plaza in front of City Hall. Big Sur offers many marathon events, including the Big Sur International Marathon, which draws runners from all over the world. The course goes around some of Big Sur’s most beautiful natural wonders and famous features, including a bridge over the rocky waters of the Pacific Ocean. The San Diego Rock n Roll Marathon is going on twenty years of fun. 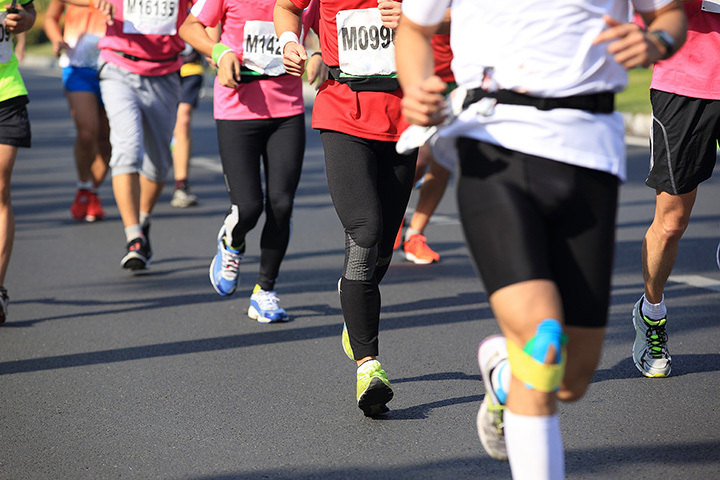 As one of the biggest running events in the United States, the San Diego Rock n Roll Marathon includes a series of running events paired with entertainment that features the biggest names in pop and rock and a fitness expo. The L.A. Marathon is everything a race in Los Angeles should be. Starting at iconic Dodgers Stadium in the heart of the city and finishing at the beautiful Santa Monica pier on the beach, The L.A. Marathon features charities, champion runners and more. The Catalina Island Eco-Marathon isn’t easy, but it is beautiful. The rugged terrain allows for views of the surrounding ocean as well as the chance to see some of the island’s wildlife. In keeping with the theme, the event uses sustainable materials, like reusable cups, to minimize the impact of the event. Surf City is an event that happens on Pacific Coast Highway each year. From the Beer Garden to the beachside route, Surf City includes a variety of marathon events and plenty of swag. A Ragnar Relay isn’t like your usual race. It takes place over a long distance, as a team and includes overnight running. The terrain might include sidewalks, backroads, bike paths, paved trails and road shoulders and other features. The Southern California Ragnar Relay goes through famous beach towns and plenty of overnight fun and activity for a unique racing experience. The Dipsea is the oldest trail race in the country. The trail leads from Mill Valley to Stinson Beach and includes rugged territory including stairs, hills, making it a challenge for runners. View more California Road Races.